Bright ruby color. Clean, floral, fresh, fruity, herbal aromas and flavors of spray roses, dried cranberry, clove, and wild strawberry with a silky, crisp, dry-yet-fruity light body and a tingling, refreshing, buoyant finish with suggestions of rose wood, raspberry, orange zest, and blueberry with silky, soft tannins and a suggestion of oak flavor. A fresh, charming blend from Piedmont with lovely structure and pretty fruit and floral notes. Bottom Line: A fresh, charming blend from Piedmont with lovely structure and pretty fruit and floral notes. Other, lesser-known reds from Piedmont include such Nebbiolo-based wines as Gattinara and Ghemme as well as wines from other varieties such as Ruché and Grignolino. 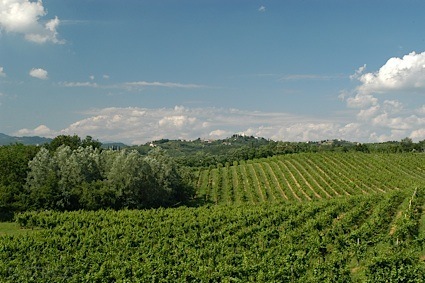 Gattinara and Ghemme are produced in northern Piedmont, known as Alto Piemonte. These are rich wines with great complexity and very good acidity. Though not as powerful as Barolo, the wines often age quite as well, as long as twenty to thirty years, due to both the amount of tannins as well as the acidity levels. Ruché is medium-bodied and has light tannins and good acidity. The wine has a spicy, pink peppercorn and red spicy quality to it, making it a fine pairing with foods from salumi to grilled poultry. Grignolino is very light in color (almost rose-like) with strawberry and tart cherry flavors and very good acidity. It is means for early consumption with salumi and lighter pastas. 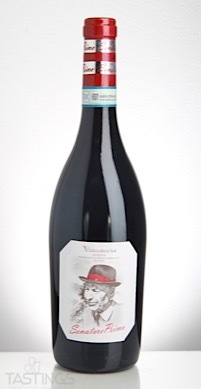 Villadoria 2015 Senatore Primo, Piemonte DOC rating was calculated by tastings.com to be 94 points out of 100 on 3/14/2018. Please note that MSRP may have changed since the date of our review.